Following their highly praised, sell out productions of Twelfth Night, Macbeth and A Midsummer Night’s Dream and Much Ado About Nothing, Tomahawk Theatre returns to the magnificent Oxford Castle this summer to revive their critically acclaimed production of Shakespeare’s Romeo and Juliet. 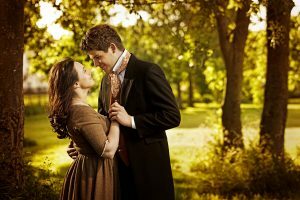 This sumptuous, elegant and dynamic production will include song and dance and always remain faithful to the beautiful language and tragic story of love, separation and divided loyalties. The production will take place in the exquisite surroundings of the Oxford Castle courtyard. Seating will be provided and included in the ticket. Seats are not allocated – the seating system is on a first come first serve basis. All the performances starts at 7.30pm with gates opening at 7pm, and finishes at around 10.15pm. In case of adverse weather conditions, please check the wet weather plan below. Book online now using the form below! Complement your theatre experience with one of our delicious picnic packs. If you are a group of more than 10 people please contact groups@continuumattractions.com to make your booking!